With the possible exception of weather data, the most successful open data set out there at the moment is transit data. It remains the data with which developers have experimented and innovated the most. Why is this? Because it’s been standardized. Ever since Google and the City of Portland creating the General Transit Feed Specification (GTFS) any developer that creates an application using GTFS transit data can port their application to over 100+ cities around the world with 10s and even 100s of millions of potential users. Now that’s scale! This is why, with a number of jurisdictions now committed to open data, I believe it is time for advocates to start focusing on the next big issue. How do we get different jurisdictions to align around standard structures so as to increase the number of people to whom an application or analysis will be relevant? Having cities publish open data sets is a great start and has led to real innovation, next generation open data and the next leaps in innovation will require some more standards. 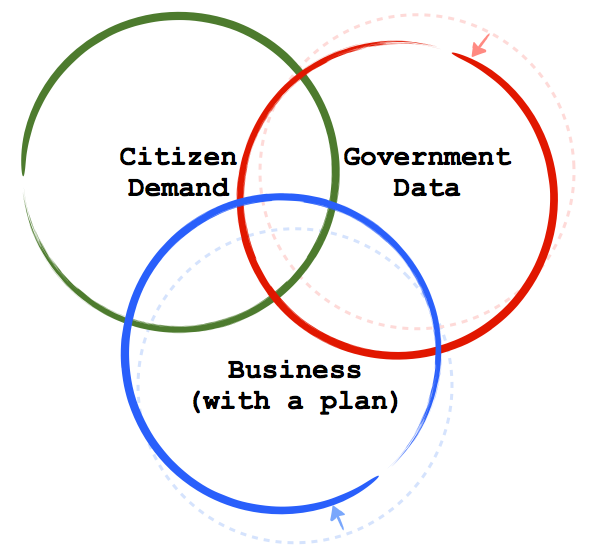 Government Data: Is there relevant government data about the service or issue that is available? First, I think we should look at this model because we want to find places where the incentives are right for all the key stakeholders. The wrong way to create a data structure is to get a bunch of governments together to talk about it. That process will take 5 years… if we are lucky. Remember the GTFS emerged because Google and Portland got together, after that, everybody else bandwagoned because the value proposition was so high. This remains, in my mind, not the perfect, but the fastest and more efficient model to get more common data structures. I also respect it won’t work for everything, but it can give us more successes to point to. I’ve been trying to think of services that fall in various parts of the diagram. A while back I wrote a post about using open restaurant inspection data to drive down health costs. Specifically around finding a government to work with a Yelp!, Bing or Google Maps, Urban Spoon or other company to integrate the inspection data into the application. That for me is an example of something that I think fits in the middle. 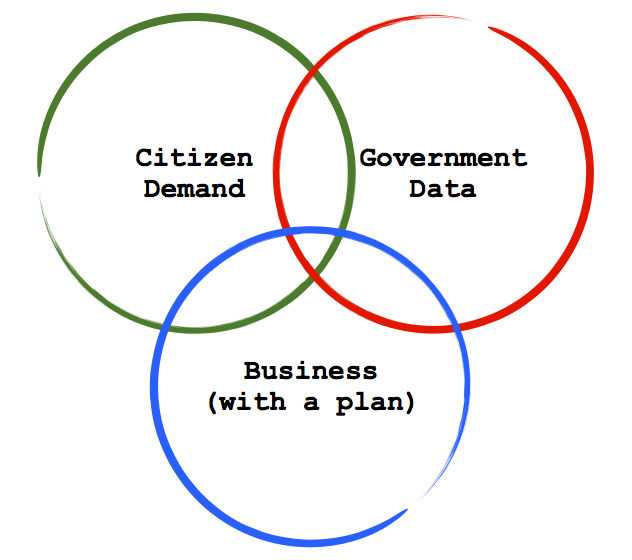 Government’s have the data, its a service citizens could touch on a regular base if the data appeared in their workflow (e.g. Yelp! or Bing Maps) and for those businesses it either helps drive search revenue or gives their product a competitive advantage. The Open311 standard (sadly missing from my diagram), and the emergence of SeeClickFix strike me as another excellent example that is right on the inside edge of the sweet spot). You can also now see why I’ve been working on Recollect.net – our garbage pick up reminder service – and helping develop a standard around garbage scheduling data – the Trash & Recycling Object Notation. I think it is a service around which we can help explain the value of common standards to cities. You’ll notice that I’ve put “democracy data” (e.g. agendas, minutes, legislation, hansards, budgets, etc…) in the area where I don’t think there is a business plan. I’m not fully convinced of this – I could see a business model in the media space for this – but I’m trying to be conservative in my estimate. In either case, that is the type of data the good people at the Sunlight Foundation are trying to get liberated, so there is at least, non-profit efforts concentrated there in America. I also put real estate in a category where I don’t think there is real consumer demand. What I mean by this isn’t that people don’t want it, they do, but they are only really interested in it maybe 2-4 times in their life. It doesn’t have the high touch point of transit or garbage schedules, or of traffic and parking. I understand that there are businesses to be built around this data, I love Viewpoint.ca – a site that takes mashes opendata up with real estate data to create a compelling real estate website – but I don’t think it is a service people will get attached to because they will only use it infrequently. Ultimately I’d love to hear from people on ideas they on why might fit in this sweet spot. (if you are comfortable sharing the idea, of course). Part of this is because I’d love to test the model more. The other reason is because I’m engaged with some governments interested in getting more strategic about their open data use and so these types of opportunities could become reality. Finally, I just hope you find this model compelling and helpful. This entry was posted in commentary, cool links, open data, public policy, technology and tagged business, garbage, gov20, innovation, opendata, transit on June 23, 2011 by David Eaves. Have you ever forgotten to take the garbage or recycling out? Wouldn’t it be nice if someone sent you a reminder the night before, or the morning of? Maybe an email, or an SMS, or even a phone call? Now you can set it up so somebody does. Us. Introducing Recollect: the garbage and recycling collection reminder service. We’ve got the garbage schedules for a number of Canadian cities big and small (with American ones coming soon) – test our site out to see if we support yours. You can set up a reminder for the night before – or the day of – your garbage pickup, and we’ll email, text or call you letting you know your garbage day is imminent and what will be picked up (say, recycling, yard waste or garbage). Our email and Twitter reminders are free, and text message and phone calls cost $1.50 a month. If you think you, your sibling, friends, or your parents might like a service like this, please come check out our website. It’s simple and we hope you’ll give it a whirl. We don’t think that Recollect is going to change the world, but we do think we can help better manage citizens’ expectations around customer service. For cities (and companies) interested in connecting with their citizens and customers, we have have a number of partnering options we have already started to explore with some cities. More importantly, if you’d like to see Recollect come to your city, have your garbage schedule and zones available for download – like Edmonton and Vancouver. On either of these fronts, if you are a politician, city employee or a business owner who needs a reminder service of some kind, please contact us. 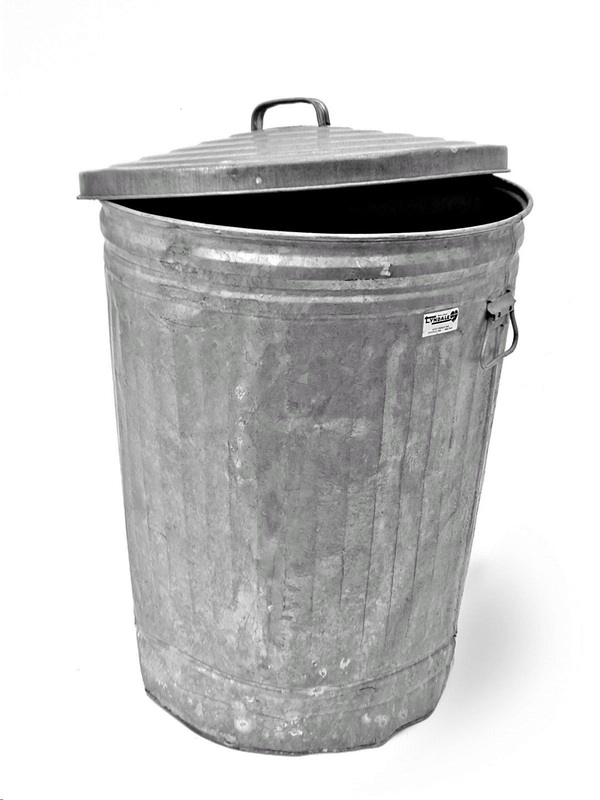 In June of 2009, as Vancouver was preparing to launch its open data portal I wrote a blog post called How Open Data even makes Garbage collection sexier, easier and cheaper in which I talked about how, using city data, a developer could create a garbage pickup reminder service for Vancouverites. Tim Bray called it his Hello World moment for Open Data. More importantly, Luke Closs and Kevin Jones, two Vancouver programers (and now good friends) took the idea and made it real. The program was called Vantrash, and in two quiet, low-maintenance years – with no advertising or marketing – it garnered over 3000 users. Last week we retired Vantrash. Today, we launched Recollect. Yes, Recollect is more beautiful than its predecessor, but more importantly it is going to start serving your community. At a high level, we want to see if we can scale an open data business to a continental level. 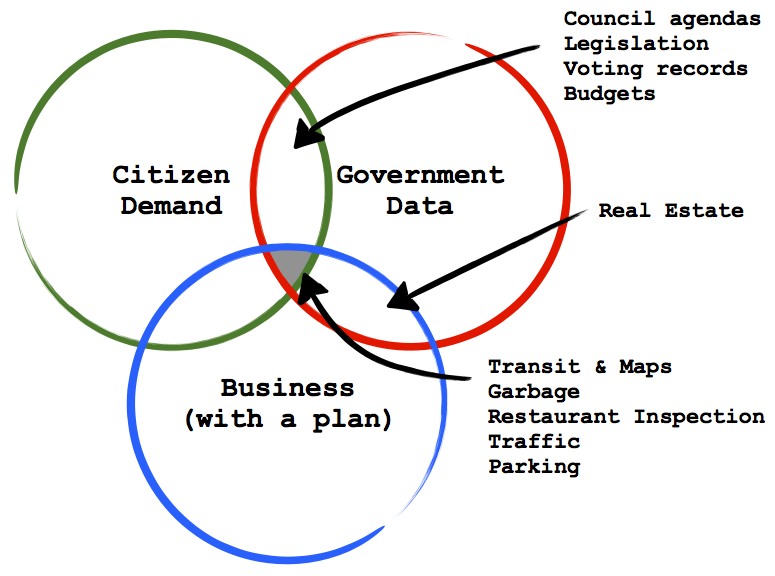 Can we use open data to serve a range of cities across North America? At a practical level, the goal of Recollect is more basic: To help make citizens’ lives just a little bit easier by providing them customized reminders for services they use, to the device of their choice, at the time of their choice. Let’s face it: We are all too busy being parents, holding down jobs or enjoying the limited free time we have to remember things like garbage day or little league schedules. Our job is to make your life easier by finding ways to free our minds of wasting time remembering these small details. If you aren’t trying to remember to take out the garbage, hopefully it means you can spend a little more time thinking about your family, your work or whatever your passion may be. In short, we believe that city services should be built around your life – and we are trying to take a small step to bring that a little closer to reality. Again, we don’t expect Recollect to change the world. But we do hope that it will serve as a building block for rethinking the government-user experience that will lay the foundations so that others will be able to change the world. This entry was posted in open data, technology, vancouver and tagged cities, garbage, gov20, opendata, vantrash on March 7, 2011 by David Eaves. 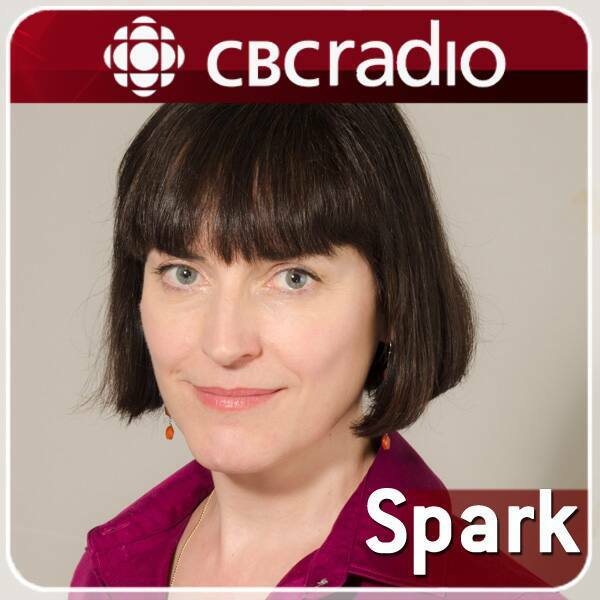 A couple of weeks ago I was interviewed by the CBC’s Nora Young for her show Spark: a weekly audio blog of smart and unexpected trendwatching about the way technology affects our lives and world. The interview (which was fun!) dives a little deeper into some of the cool ways citizens – in working to make their lives better – can make cool things happen (and improve their community) when government’s make their data freely available. The interview focuses mostly on VanTrash, the free garbage reminder service created by Luke Closs and Kevin Jones based on a blog post I wrote. It’s been getting a lot of positive feedback and is helping make the lives of Vancouverites just a little less hectic. You can read more about the episode here and listen to it on CBC radio at 1:05 local time in most parts of Canada and 4:05 on the west coast. You can download a podcast of the Spark episode here or listen to it on the web here. This entry was posted in commentary, cool links, open data, technology and tagged commentary, cool links, garbage, government, open data, open source, technology, vancouver on October 16, 2009 by David Eaves.